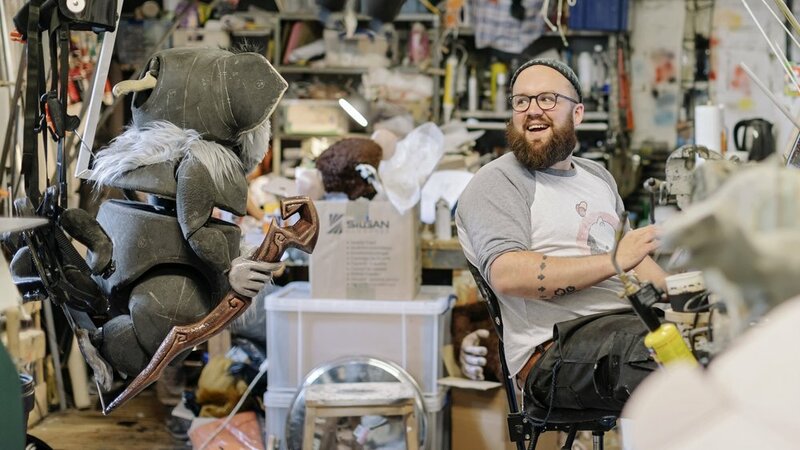 “Why are children so fascinated by dinosaurs?” ponders puppet designer and maker, Max Humphries. “That’s a really good question. There’s obviously the mystery surrounding dinosaurs: the fact that they were here and then weren’t. Kids also like the variation—there are lots of dinosaurs and you can have your favourites, almost like Pokémon. Also, you can go and see their bones. Dinosaurs are majestic, mysterious and almost mythological in their scale. And yet they really existed, which is the coolest thing about them.” With that Max takes a puff on his pipe. 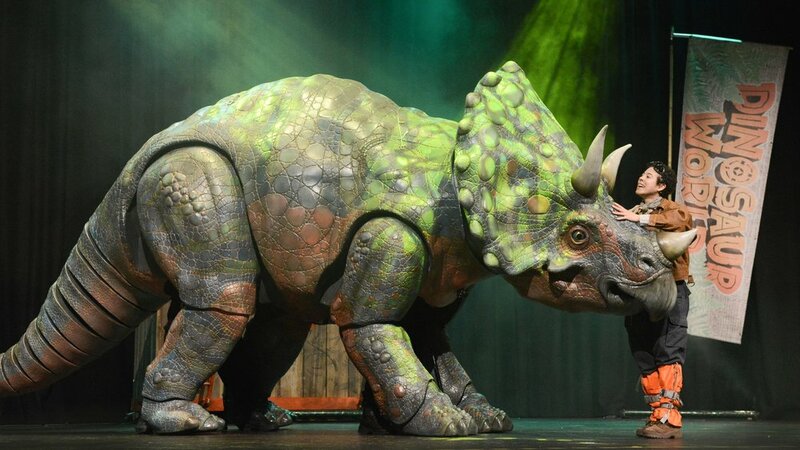 Dinosaur World Live tells the story of a palaeontologist, Miranda (played by Elizabeth Mary Williams), who, after being shipwrecked, was raised on an island inhabited by dinosaurs. Many years later, having fixed her boat, she brings some of her reptilian chums over to meet the people of the UK. The dinosaurs range in size from a theatre-filling Tyrannosaurus rex right down to a cuddly baby triceratops in a funky coloured spotted babygrow. Other species include Giraffatitan, Segnosaurus and Microraptor. While Max focused on the machinery, including all the levers, cogs, linkages, gears and springs, colleague Chuck Brown used the same plans to create wax models, showing what the body of each puppet would look like to scale. “The skeletons, we mainly make out of aluminium, laser cut plywood, water jet cut materials and 3D printing, and then lots of hand machined and hand made parts as well,” says Max. “So, it’s a mix of using industrial scale parts and parts that I’m literally making on my lathe.” The body of the puppet, made from foam, is carefully attached to the skeleton. Feathers and skin are added, carved into the body to produce the desired textures, before the final painting begins. Perhaps Max could make a spare one for her? “If only I had the time,” he laughs.